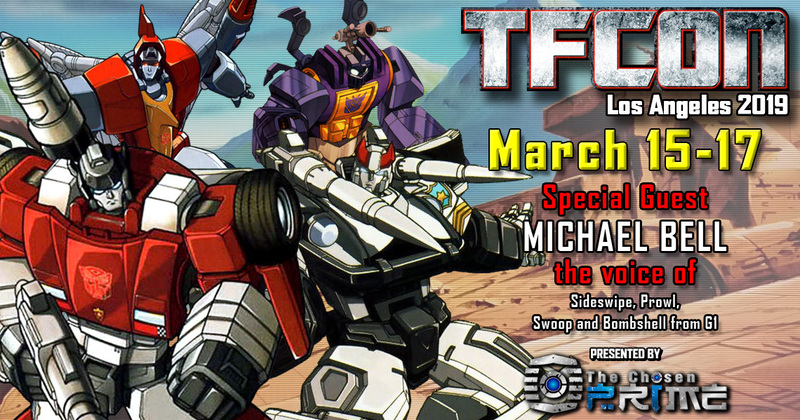 TFcon is very happy to announce Michael Bell the voices of Prowl, Sideswipe, Bombshell, Brainstorm, First Aid, Scrapper and Swoop in Transformers Generation 1 will be joining the G1 Reunion event happening at TFcon Los Angeles 2019. Fans of the 80s will also remember him as the voice of Duke in GI Joe, Lance in Voltron, plus Grouchy, Lazy and Handy Smurf in The Smurfs. Michael will be taking part in Q&A panels and autograph sessions with the attendees of America’s largest fan-run Transformers convention all weekend long. Michael Bell is presented by The Chosen Prime.